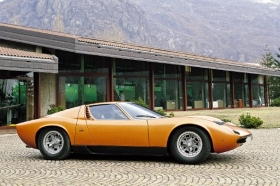 The Bertone design house styled cars such as the Lamborghini Miura before hitting hard times. TURIN -- Lilli Bertone has regained control of the famous Italian design house that bears her name. 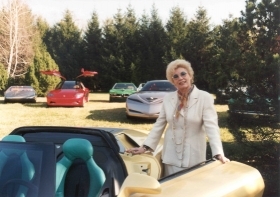 Bertone, 74, said she had acquired the Bertone trademark as well as patents and historical files covering the company's 97 years of activity from a Turin bankruptcy court. The Bertone design house styled cars such as the Alfa Romeo Giulia GT, Citroen XM and the Lamborghini Miura. It also had a manufacturing arm that built the Opel/Vauxhall Astra cabriolet until 2005. Fiat S.p.A. bought Bertone's factory near Turin in August and its plans to build up to 50,000 units annually of two Chrysler-based vehicles for sale in Europe there starting late 2011. Lilli Bertone said the "new Bertone," which is called Bertone Cento Srl, will be a service company focused on design and engineering for automotive, rail and product design. "This is a very important day for the continuation of our operations," she said in a statement. Based at Stile Bertone's offices in Caprie, 33 km West of Turin, Bertone has a staff of 200 people and capacity to contract 300,000 working hours a year between design and engineering services, the company said. Financial terms of the transaction were not disclosed. The Italian press had previously reported Lilli Bertone's offer for the company name was worth between 1.5 million euros and 3 million euros. Lilli Bertone kept alive Italy's oldest contract manufacturer after her husband Nuccio died in 1997. Carrozzeria Bertone, Italy's oldest contract manufacturer was founded in Turin in 1912 by Giovanni Bertone and expanded into industrial production by his son Giuseppe, who was known as Nuccio.